[twitter]This isn’t new. When I was freaking out about BPA in baby bottles and drink bottles, all the info I was reading listed BPA as a common ingredient in the lining of canned food. 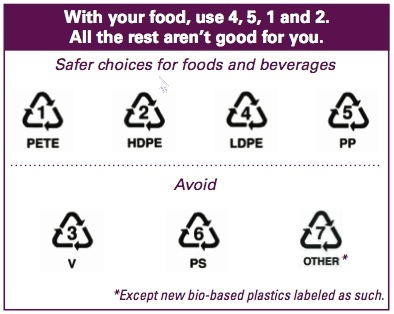 CTV and the Globe and Mail did tests on canned goods and discovered that not only is the BPA there, it’s in higher concentrations than was found in plastics. * A can of children’s ravioli leached 6 parts per billion. * A can of peas and carrots leached 7 parts per billion. * A can of tomato juice leached 14 parts per billion. Because these findings show that BPA leached out of the cans and into water, it can be assumed that the chemical is leaching into the food itself when the cans are heated during the pasteurization process. I quickly removed ALL plastic with a bad plastics number from my house, what will I do about the cans? London Drugs removed all the BPA plastic products from their shelves, will they be so quick with the cans? The Federal Government is taking steps to have BPA declared a dangerous substance. There are alternatives to make plastics without it, what about cans? Can we can tomatoes, corn, peas and beans WITHOUT BPA? Yes. Eden Foods made the switch almost a decade ago – but it’s costly. Eden Foods are available locally at Whole Foods, Nesters, BuyLow and other more organically inclined grocers, check the store locator on their site for a full list. I prefer frozen vegetables to canned, as there isnt as much sodium in a bag of corn kernels, vs a can. But I buy canned tomatoes and beans to make sauces. What about canned tuna? Oh, don’t worry about canned beer (for now) – the temperatures aren’t high enough during the canning process to leach out the BPA – but it’s there.